Quick and dirty contest for my fans and lovers of electronic music. 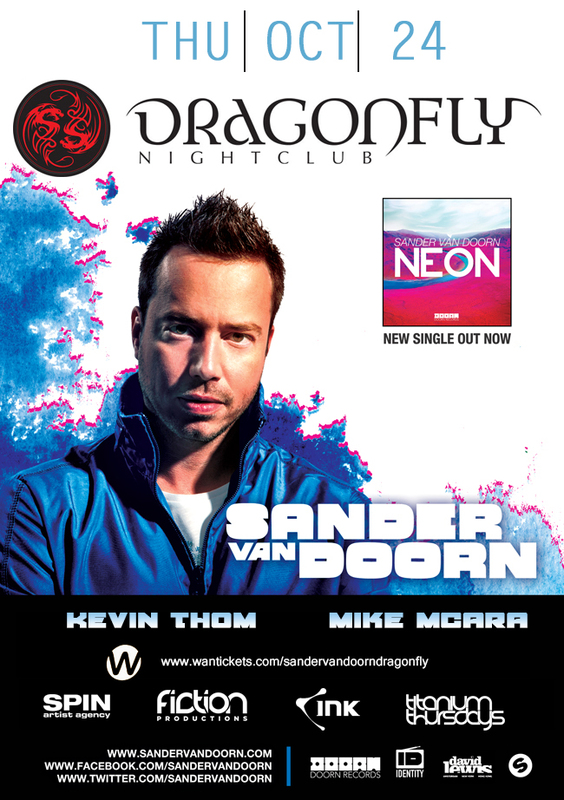 I was approached by the folks over at Fiction Productions to do a giveaway for a pair of tickets to the Sander van Doorn (SVD) show on Thursday, October 24 in Niagara Falls, Ontario at the beautiful and intimate Dragonfly Nightclub. If you’ve never been to the Dragonfly it is a very nice club located inside the Fallsview Casino. The show is going to be super intimate because the place is pretty small and this is a pretty huge international DJ so if I were you I wouldn’t miss out on his set. In fact, SVD just got named Number 39 in the DJ Mag Top 100 DJs for 2013 and you’re going to get to see him up close and personal. 3. Tell me in the same comment as the one you’ve used for the URLs of your social media posts what your favorite Sander van Doorn track is (remixes of other artist’s music counts). 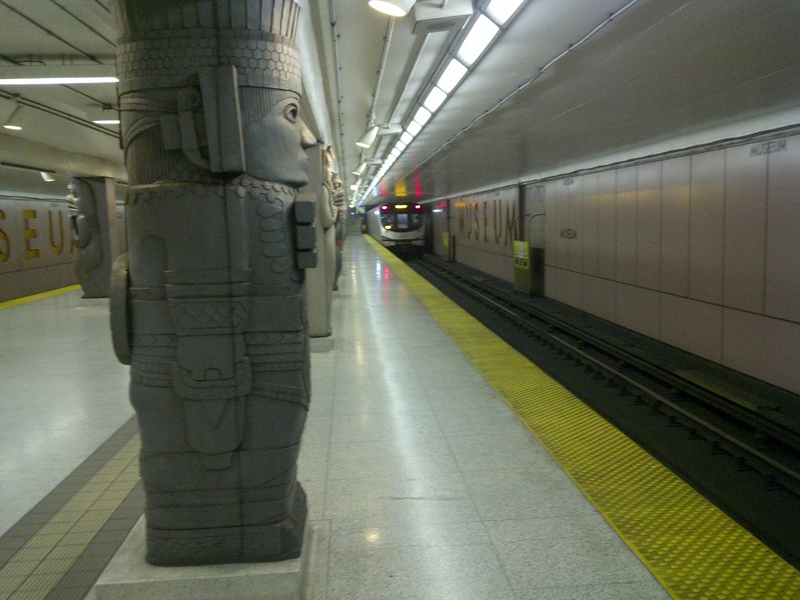 Contest is open from the time of this writing until 6pm Toronto time, October 23, 2013 at which point a winner will be chosen. You are responsible for your own travel arrangements and accommodations (if necessary). The winner will have 30 minutes to reply to their notification of winning which will be via the email you use with your comment. If you don’t reply, a new winner will be chosen. I don’t care how you reply as long as I receive the reply. If you don’t follow the instructions on how to enter, you won’t have entered so read them carefully. CONGRATULATIONS TO JENNA-LEE POLLARD ON HER WIN. HOPE SHE HAS A GREAT NIGHT!!! 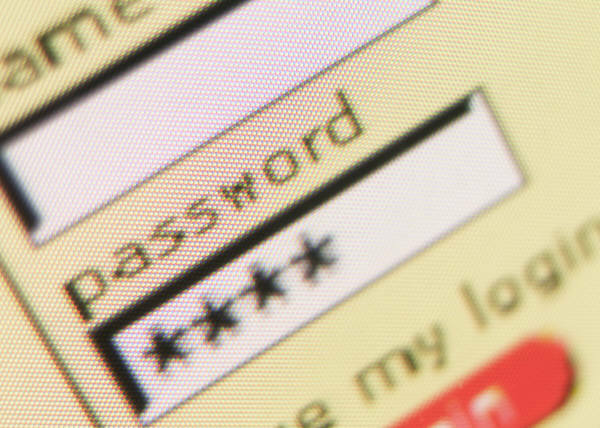 Are Some Sites’ Passwords Requirements Getting Too Ridiculous? I have recently decided that I would like to further my education and increase my value to any employer. As such, I have been looking at continuing education programs from some Ontario Colleges* and in order to apply to any college you have to go through the centralized ontariocolleges.ca a site which you can use to to apply to all of Ontario’s colleges and makes the whole process streamlined. As I sat there making up a password I thought to myself “Isn’t this a little bit ridiculous already? I mean I get it that a lot of private and personal information is going in to these accounts but quite frankly my bank has less requirements for how I make my password to get into my online account than this website does. I mean, there is a point of diminishing returns for passwords where we are more and more likely to forget them because they have become so complex that we have to write them down somewhere and then what was the point of these long intricate passwords? I get it that brute force hacking means that the hacking computer is more likely to get the password the more complex it is and complexity is arrived at by adding more characters which makes it exponentially harder to guess the password but the addition of the extra characters into the mix just makes it all the harder for us as humans to remember the password. Beyond that, I promise that a large number of us, me included, end up just telling our computers to remember the passwords for us. If we don’t do that, we write down these insanely complex passwords and if someone is really that dedicated to getting my password don’t you think they’re likely to just try and break into our houses where we’ve written these bewilderingly difficult and complex passwords down because there’s no way we are ever remembering them? I am fine with setting up a 15 character password. I can do that and remember it with certain mnemonic devices – maybe I’ll teach you my favorite one in a later post – but for me the capitalization aspect is what kills me. At the very least sites that require such intricately constructed passwords could give us all a hint, specifically listing the password requirements below the entry dialogue, and then I won’t be so likely to hit the “Forgot Password” button on a regular basis whenever I visit the site. The funny thing is, I find the sites that require these specifically formatted passwords are always the ones I barely ever use and am more likely to hit the “Forgot Password” button whenever I visit. Maybe it is time we move to fingerprint or retina scanning on our computers? Maybe Google/Android can share their facial recognition technology with all of these sites so they can make all of our lives way easier…everyone has a webcam nowadays anyway, right? What do you think? Password image via Microsoft Office. Should There Be Access To A Public Defender In Traffic Court? And last I checked/heard the Supreme Court of Canada has ruled that ‘a reasonable time’ is defined as 8-10 months. However, I am not a lawyer. The Prosecutor’s Office has professional lawyers because, quite obviously they are the Prosecutor’s Office and it is their job to make sure that people guilty of criminal acts are sentenced within our laws. But is that fair? 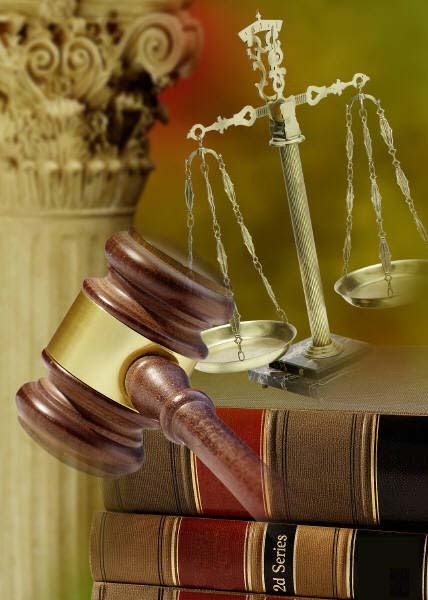 Is it a fair trial when I am not granted access to an attorney of my own? Maybe not to represent me in court but to advise me in the lead up to being in court? With the start of the 40th Ontario Provincial Elections campaign I noticed that the account “@OntarioPressSec” who I was following and followed me had changed their handle to become @LibPressSec. I had been following @OntPressSec/@LibPressSec since I tried to get Premier Dalton McGuinty’s recognition of Foursquare Day Toronto 2011 in April. I also noticed that now there was – clearly a new, placeholder account – @OntarioPressSec which doesn’t and hasn’t tweeted since its creation on September 2, 2011. I am at war with myself over whether I agree with these tactics as being ethical during an election. 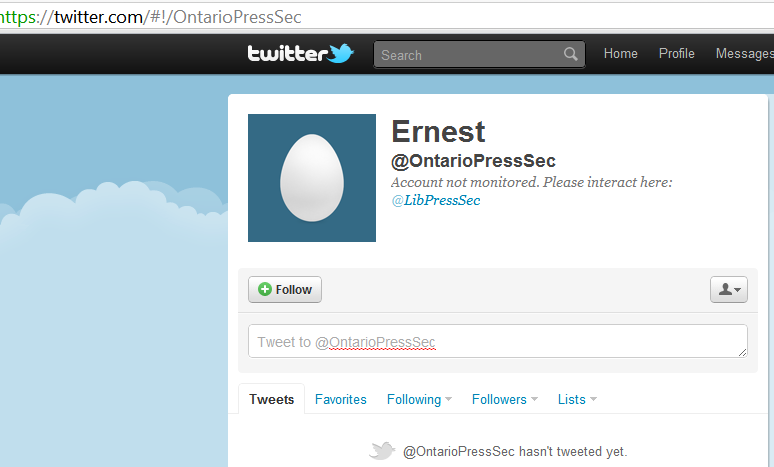 As you can see in the picture above, the account which is being run by a staffer of the Liberal Party of Ontario identified itself in April as being “Media Office” who had a biography which read “Associate Press Secretary in the Office of the Premier of Ontario.” The placeholder @OntarioPressSec Twitter account says in its biography “Account not monitored. Please interact here: @LibPressSec.” It directs people to the Liberal Party of Ontario’s Twitter account with no direction to the Ontario NDP, or Ontario Progressive Conservatives. Do you like them? I took them all with my BlackBerry Torch which it looks like I will be replacing soon – thanks to the kind folks at Research In Motion who are going above and beyond to help me out since my device is still within warranty – as its keyboard is starting to do some strange things. Ontario Has A New Driver’s License Card? No More Magnetic Stripe! After I moved a couple of months back I completely forgot for about 6 weeks to get my address on my license changed. Thankfully, in Ontario you can simply do the whole process online and just wait for your new card to arrive in the mail. (If you couldn’t, I likely would still be procrastinating getting it done.) 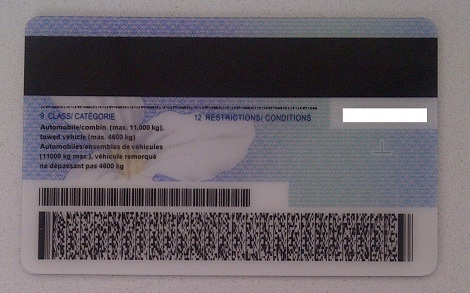 My updated address license card arrived yesterday and when I opened the envelope from Kingston I looked at the card as a matter of habit when I noticed something different about it…it was missing the magnetic stripe.